There seems to be internet problems going on. Is this connected to Planet X? [and from another] http://money.cnn.com/2014/01/26/news/world/uk-lloyds-atm-outage/ind... A Lloyds Banking Group spokeswoman said the three-hour outage had been resolved. A technical problem left customers at the U.K.'s largest bank unable to make purchases or withdrawals using their payment cards. [and from another] http://www.bbc.co.uk/news/business-25861717 Some HSBC customers have been prevented from withdrawing large amounts of cash because they could not provide evidence of why they wanted it. [and from another] http://iacknowledge.net/breaking-hsbc-bank-and-china-out-of-cash-ch... The People’s Bank of China, the central bank, has just ordered commercial banks to halt cash transfers. In short, there will be a three-day suspension of domestic renminbi transfers. There will also be a suspension, spanning nine calendar days, of conversions of renminbi to foreign currency. The specific reason given—“system maintenance” at the central bank—is preposterous. It is not credible that during the highest usage period in the year—the weeklong Lunar New Year holiday beginning January 31—the central bank would schedule an upgrade and shut down cash transfers. [and from another] http://en.ria.ru/business/20140127/186966541/Russias-Central-Bank-B... Russia’s top monetary authority slammed digital currencies, warning that Bitcoin use can lead to criminal charges in the country. The anonymously produced “virtual currencies” can be intended by its producers for money laundering and terrorism funding purposes, the Central Bank said in a statement. This means that Russian digital currency users can become involved in criminal activity simply by using the Bitcoin and its analogues. Suddenly banks are tightening the rules and the reins, all in the weeks ahead of the anticipated announcement admitting that Nibiru exists and is nearby. Is there a relationship? We predicted that banks would limit their hours, limit their withdrawals, and even be closed temporarily if a panic ensued. The likely time when such steps would be viewed as necessary would be during the announcement and shortly thereafter. One of the first reactions in a populace taken by surprise by the announcement would be to stock up on food, gasoline, and cash. The banks are anticipating a run on their ready cash, which frankly is not in hand! The complicated world of paper money is such that banks are not required to hold what is technically owned to depositors in the form of cash. It is, therefore, technically impossible for a bank to payout savings to depositors, on demand. This likewise guts their standing, as to issue loans they have to have backing for the loans, and savings is one of the pillars their house of cards stands upon. For both those reasons, a run on a bank, whereby depositors try to pull out their savings, would be sharply limited during a panic. The steps taken by banks in the UK and and elsewhere are only part of the picture, as most limitations already in place have not yet hit the media. 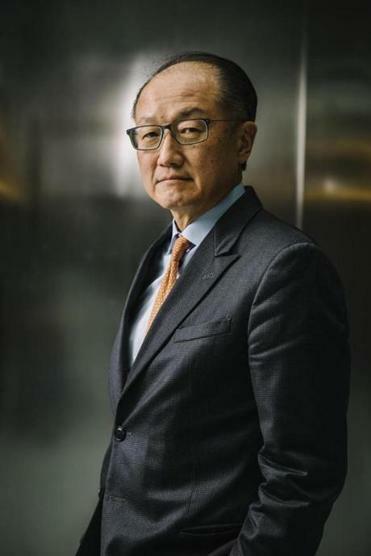 WASHINGTON — The World Bank said Monday that its president, Jim Yong Kim, would step down from his post in February to join a private infrastructure investment firm, an unexpected departure that comes nearly three years before the end of his term. The abrupt resignation, which is effective Feb. 1, could prompt a clash between the Trump administration and other governments over the future of the international body. The United States traditionally selects the president of the World Bank, which is made up of more than 100 countries, but President Trump has taken a skeptical view about the importance of multilateral institutions. A Swansea credit union has shut for good and can't repay money to its 3,128 members. My Community Bank Wales, also known as Loans and Savings Abertawe Credit Union Limited (LASA), has been forced to close its doors permanently in Walter Road, in Uplands . It follows the branch suddenly shutting up shop earlier this month , with a notice in the window saying the branch had become an 'unnecessary expense' and a 'drain on members' reserves'. The Financial Services Compensation Scheme (FSCS) has since announced it will protect customers and return money to the vast majority of members within a seven day target. Using the credit union's records, FSCS expects to make payments totalling nearly £500,000 to nearly all 3,128 customers. The Walter Road site offered support to the public by providing savings accounts, as well as loans. Customers with up to £1,000 in their account will receive a letter from FSCS to get cash over the counter at their local post office. While customers with more than £1,000 will receive a cheque in the post for their balance. Alex Kuczynski for FSCS, said: "FSCS is here to protect members of Loans and Savings Abertawe Credit Union Limited. "Your savings are protected up to £85,000, and joint accounts are covered for £170,000. "You should get your money back within seven days. "The process is automatic too, so you won't have to apply for compensation." While the Welsh Government does not regulate credit unions, it states that the Swansea closure is 'an isolated case'. A Welsh Government spokeswoman said: "We remain committed to the future of credit unions, and to ensuring that everyone in Wales is able to access a credit union, as they have an important role to play in our communities. "While the closure of My Community Bank Wales is regrettable, its members are covered by the Financial Services Compensation Scheme to a limit of £85,000 per member. "This is an isolated case which does not reflect the position of other credit unions in Wales." Geoffrey Martin & Co has been appointed as administrators of the credit union. Dina Devalia, of Geoffrey Martin & Co, said: "All of LASA's savers will have their balances returned by the FSCS. "They don't need to do anything to get their money back; savers should look out for a letter in the post from the FSCS in the next few days." A spokesman for Swansea Council said: "LASA's decision to stop trading is sad news. "But it is reassuring that the Financial Services Compensation Scheme has quickly stepped in with a clear plan to return their money to them as quickly as possible." The popular online Bitcoin wallet Coinbase has been routinely seizing accounts of users in Hawaii and Wyoming, effectively “stealing” their Bitcoins by locking them out of their accounts. A Natural News investigation confirms that Coinbase is citing obscure state laws in its decision to seize accounts of users in both states, yet the online wallet refuses to allow users to log in and change their state of residence if they move to another state. In effect, Coinbase is “stealing” Bitcoins from users by locking them out of their own accounts, preventing them from accessing their Bitcoin balances even if they move to another state. Users are raging against the “ripoff” and the “theft” in user comments (see some examples below). Although we strive to provide continuous access to Coinbase services, Coinbase has indefinitely suspended its business in Wyoming and we regret that we cannot currently support services in Wyoming. You can find a further explanation of our account suspension policy here. We hope to restore service in Wyoming soon, so please check back again. Attempts to get Coinbase to change the state of residency have been “completely useless,” Natural News was told by users. Coinbase refuses to respond to users in any meaningful way, regardless of how much money has been seized by Coinbase. What Coinbase demonstrates yet again is the extreme risk that comes from holding Bitcoins in an online wallet. At any moment — and without notice — Coinbase can seize all your Bitcoins, too, denying you access to your own account. Because Bitcoin is entirely unregulated, it can essentially do anything it wants, including “stealing” user accounts and denying users access to their own wallets. If such activities were taking place in the banking industry, Coinbase executives would be arrested and charged with criminal fraud. If you are using Coinbase, you are just begging to have your Bitcoins stolen or seized. The total dollar value of Bitcoins that have so far been “stolen” by Coinbase from users in Wyoming and Hawaii is unknown, but given current Bitcoin valuations, it’s almost certainly in the tens of millions of dollars. WARNING: Stay away from Coinbase: Coinbase is a site of criminal thieves that will steal your money. Stay away! Coinbase is not to be trusted. As with many other complaints I have seen, they have lost/stolen from me as well, they have no phone number posted anywhere to contact them, they will not answer to any complaints you have from the website, or if they do eventually answer to a problem from the website after several weeks, they will just tell you there is nothing they can do. I am contacting any and every review site I can find to warn as many people as I possibly can. I am opening a case with the Better Business Bureau, and any other authority I can contact. Do not use Coinbase; stay away! Coinbase said they no longer can operate in Hawaii. Ok, I can deal with that. They said to liquidate and get your money. Well, I’ve been going in circles to do just that, and it is NOT HAPPENING. POOR, poor service. Beware, I wouldn’t trust them with any other funds, I can’t even get back my $140+ USD. Sad. I only got 5.54 BTC out when I had to “close out” to an external wallet on May 17th, 2017. The send back from BLOCKCHAIN on the 15th was stollen, netting the scamming Coinbase 1BTC or $1,700 off of me for some rule breaking they never named as I was ONLY sending Coinbase to MYSELF. You sure can believe they NEVER answered a single email to their BS “support” email as to what the “violation” was. DO NOT store BTC in Coinbase or you will be sorry! TOTAL RIP OFF: They stole money from me and then closed by account when I called them on it. Bottom line? Beware of Coinbase in particular and any Bitcoin wallet in general. The Bitcoin industry is rife with con artists, fraudsters and thieves. We will be documenting all this in detail with the launch of a new site called BitRAPED.com (launching in a few days). Deutsche Bank ATMs Block Cash Withdrawal Due To "Technical Glitch"
In what appears to be a widespread problem, Germany's Spiegel reports that customers are unable to withdraw cash from Deutsche Bank ATMs due to a "technical glitch." A German bank spokeswoman declined to comment on the problem first. But the bank finally conceded a technical glitch in online banking. The deposits and withdrawals were partially displayed twice or not ready, the bank said. "None of these payments twice shown has taken place," it says in the statement. Apparently slipped some accounts due to the alleged double deduction into the red. "I could not pay by card. By double counting our account is in the red. Also withdraw money I could not, because our credit limit is not sufficient," wrote a user on a Facebook. With everything that is going on, one can only wonder if desperate times have led to desperate measures... or, of course, this could simply be a "technical glitch" which just happened to occur on a Friday evening - the busiest time for cash withdrawals. Suicide of Zurich Insurance executive Martin Senn announced. Swiss police are investigating the apparent suicide of former Zurich Insurance Group CEO Martin Senn, officials said Monday. Senn, 59, resigned from the company in December, citing the company's business setbacks under his direction. His death follows, by three years, the suicide of Pierre Wauthier, 53, Zurich Insurance Group's former chief financial officer. Wauthier left behind a note mentioning internal tensions within the company, and undue pressure placed on him by then-chairman Josef Ackermann. 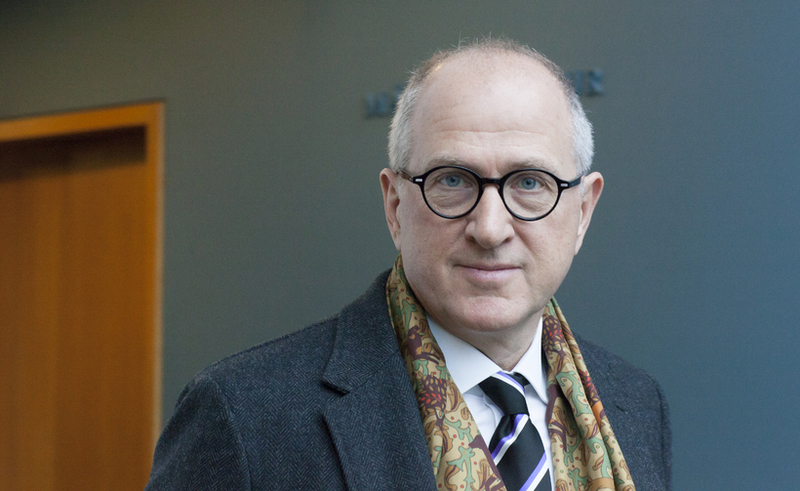 A probe by Swiss financial regulators cleared company leaders of placing inordinate stress on Wauthier, but Ackermann resigned shortly after the suicide. Swiss media reports said Senn shot himself Friday. The Graubunden police did not confirm the means of death, but said no suicide note has been found. One of the two Icelandic passengers on board the helicopter which crashed near the Icelandic volcano Hengill yesterday was disgraced Icelandic banker, Ólafur Ólafsson. Three foreign nationals were among the five passengers on board. All five were helicoptered to hospital following the incident. Some had suffered broken bones, but none are considered to have sustained life-threatening injuries. Ólafsson was one of four men jailed in 2015 in the so-called ‘Al-Thani case’ on charges of breach of trust and market abuse. He is an investor and majority owner shipping company Samskip, and is the owner of the crashed helicopter. He is believed to have sustained back and neck injuries. RUMORS swirling say "Martial Law discussions over a banking system failure" are the reasons President Obama and Vice President Biden are to meet with Fed. Chair Janet Yellen today after the Federal Reserve's Emergency Meeting this morning. In the history of the United States, it has never before taken place that both the President AND Vice President meet "unexpectedly" with the Federal Reserve. Speculation is already flowing all over Washington, DC that it may have something to do with "the survival of the government." Members of the House and Senate are said to have been "up all night" in discussions and meetings; with floods of phone calls back and forth. More: Tuesday and Wednesday the G20 Finance Ministers and Central Bank Governors meet in DC and on Thursday the IMF and World Bank meet in DC as well. All the leading bankers in the world will be in DC this week. Something wicked this way comes and it is coming very, very soon; within days we suspect. Next Tuesday: The Chinese are scheduled to announce their switch from dollar to yuan on Tuesday, April 19th; which will send about two TRILLION in cash back to the US and send inflation skyrocketing overnight. If you are not prepared, you have run out of time. You need to have emergency cash to live on in case banks close for a couple weeks and shut down credit, debit cards and ATM's; not cash to pay your bills, but rather cash to SURVIVE with for food, fuel, medicine. Stores may have to close, so you'd better have food, the shelf-stable type that doesn't go bad: 50lb Bag(s) of rice, Boxes of various Pasta, canned meats, jarred sauces. Butter, sugar, salt etc. Enough to survive for awhile just in case. While today's Expedited meeting of the federal reserve was called last Thursday, over the weekend astonishing banking developments took place in Europe. Five hours later, the Finance Minister of Italy called an Emergency Meeting of Italian Bankers in Rome to engage what he called a "last resort" to deal with 360 Billion in bad loans against banks with only 50 Billion in Capital. That story is Here. It appears an actual worldwide banking crisis is literally within view on the horizon and this week seems to be when all of it may come to a head. Perhaps that's why the Finance Ministers of the G-20 nations will meet in Washington Tuesday and Wednesday, and then on Thursday, the World Bank and IMF will meet in Washington. With every major banker in the world meeting in Washington this week, something is surely "up," and many people are starting to think the general public is about to get "hosed." (Zero Hedge) Under the auspices of “protecting clients from criminal activity,” JPMorgan Chase has decided to impose withdrawal limits on certain ATM transactions. As WSJ reports, following the bank’s ATM modification to enable $100-bills to be dispensed with no limit, some customers started pulling out tens of thousands of dollars at a time. This apparent bank run has prompted Jamie Dimon to cap ATM withdrawals at $1,000 per card daily for non-customers. Most large U.S. banks, including Chase, Bank of America Corp., Citigroup Inc. and Wells Fargo & Co. have been rolling out new ATMs, sometimes known as eATMs, which perform more services akin to tellers. That includes allowing customers to withdraw different dollar denominations than the usual $20, typically ranging from $1 to $100. The efforts run counter to recent calls to phase out large bills such as the $100 bill or the €500 note ($569) to discourage corruption while putting up hurdles for tax evaders, terrorists, drug dealers and human traffickers. The Wall Street Journal reported in February that the European Central Bank was considering eliminating its highest paper currency denomination, the €500 note. Former U.S. Treasury Secretary Lawrence H. Summers also has called for an agreement by monetary authorities to stop issuing notes worth more than $50 or $100. A funny thing happened as J.P. Morgan Chase & Co. modified its ATMs to dispense hundred-dollar bills with no limit: Some customers started pulling out tens of thousands of dollars at a time. While it was changing to newer ATM technology, J.P. Morgan found that some customers of banks in countries such as Russia and Ukraine had used Chase ATMs to withdraw tens of thousands of dollars in a single day, people familiar with the situation said. Chase had instances of people withdrawing $20,000 in one transaction, they added. And, in what appears to the start of a war on cash in America, The Wall Street Journal reports, the bank is cracking down, capping ATM withdrawals at $1,000 per card daily for noncustomers. The bank run by Chairman and Chief Executive Jamie Dimon said there doesn’t appear to be fraud involved. But in part due to heightened regulatory scrutiny, banks are paying more attention to large cash transfers that could be a sign of money laundering or other types of shady activity. The move by the largest bank in the country doesn’t affect J.P. Morgan Chase’s own customers, whose maximum daily withdrawals are set depending on the client’s account type. Roger Agnelli, the Brazilian banker who turned Vale SA into the world’s No. 1 iron ore producer, died on Saturday in a plane crash, a source close to aviation authorities said. Agnelli, his wife and two children were among seven killed when his Comp Air 9 turboprop monoplane slammed into two homes around 3.20pm local time, minutes after taking off from an airport in northern São Paulo, said the source, who asked not to be named due to the sensitive nature of the information. ...The weather was clear at the time of the crash. ...Agnelli clinched the top job at Vale in July 2001 after 19 years as a corporate and investment banker with Banco Bradesco SA, a major Vale shareholder. ...In a Harvard Business Review ranking of the world’s best-performing chief executive officers published in February 2013, Agnelli came fourth, only behind Apple Inc’s Steve Jobs, Amazon.com Inc’s Jeff Bezos and Samsung Group’s Yun Jong-yong. He was the top mining CEO in the 100-executive ranking. ...He began his career at Bradesco’s corporate finance and investment banking division. His knack for engineering complex deals earned him praise from his bosses, who turned him into Bradesco’s youngest senior vice president at the age of 29. The Internal Revenue Service suffered a "hardware failure" on Wednesday afternoon, which left many of its tax processing systems unavailable Wednesday night, the agency announced in a statement. The agency stopped accepting electronically filed tax returns because of the problem. The outage could affect refunds, but the agency said it doesn't anticipate "major disruptions." "The IRS is still assessing the scope of the outage," the agency said. "At this time, the IRS does not anticipate major refund disruptions; we continue to expect that nine out of 10 taxpayers will receive their refunds within 21 days." The IRS.gov website remains available, but "Where's My Refund" and other services are not working. Some systems will be out of service at least until Thursday, the agency said. "The IRS is currently in the process of making repairs and working to restore normal operations as soon as possible," the IRS said. People who have already filed returns don't need to do anything more, the IRS said.